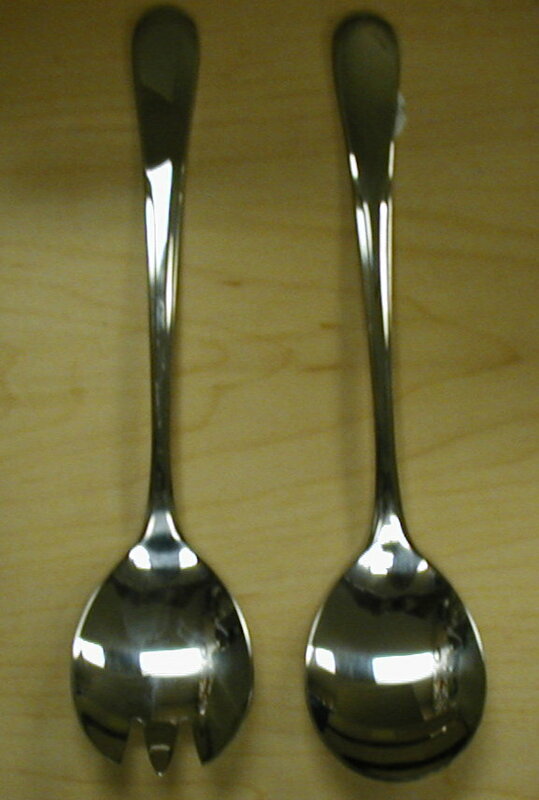 Salad Tongs Stainless Steel ice tongs ice tea spoons barbecue tongs serving spoons Temecula. 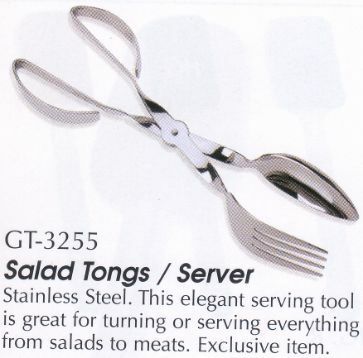 This page contains Salad Tongs / Server, ice tea spoons, and ice tongs. Stainless Steel. This elegant serving tool is great for turning or serving everything from salads to meats. Exclusive item. Spatula Tongs / Server Stainless Steel. This elegant serving tool is excellent for lifting and scooping foods off barbecue or buffet. Slotted spatula has three slots that allow unwanted juices to drain away from food. Unique handles make it easy to grip and fit comfortably in the palm your hand. Exclusive item. This is one of those simple but hard to find items. Plain old fashion ice tongs. 8.25 inches long also great for ice cream and dessert! 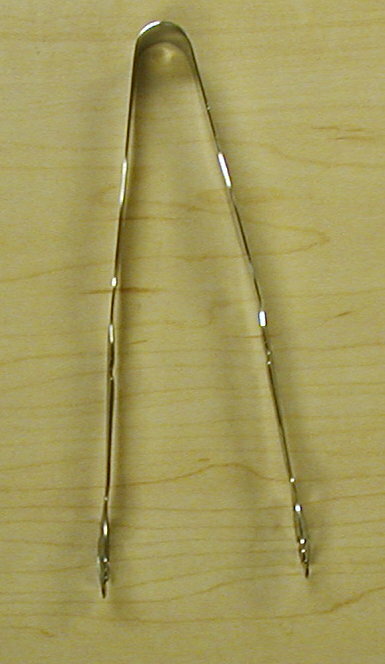 We have some great prices on these ordinary stainless steel tongs. They are nice and heavy, the feel great in your hands! 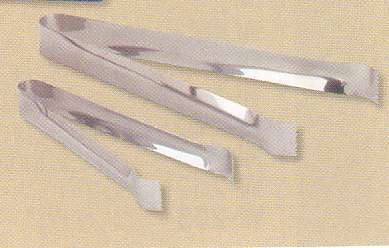 18/10 Stainless steel appetizer tongs. In business since 1984 family owned and operated! 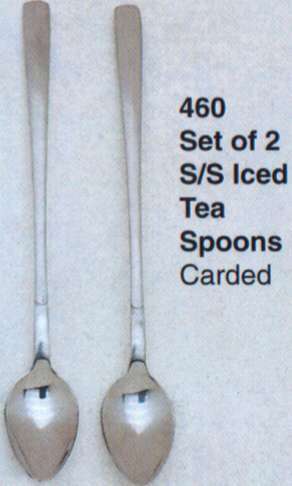 Proud to offer our Serving spoons.